Yemisi Blake is a freelance creative and writer. One of the perks of being a WOWser (young ambassador to the festival) is getting to meet the stars as they arrive for rehearsals and sound checks. 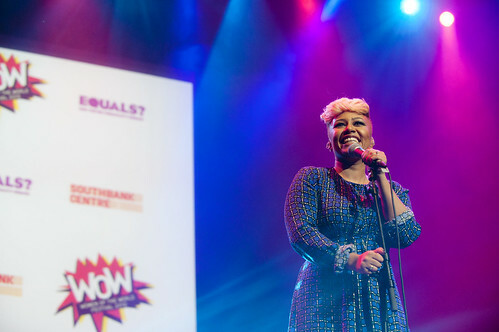 Kenetkwa got to meet Emeli Sandé before the Equals Live event. Here’s a clip of her singing Emeli Sandé’s Next To Me. The day included panel discussions between a variety of women with successful careers in education, enterprise and media and included responses to the questions, ‘What inspired you to become the woman you are?’ and ‘What should young women’s education look like in the twenty – first century?’. Many women explained how they made it to the top and others also stressed how important creativity was for them across the curriculum. Mulberry student, Nazifa , expressed, ‘The panels were extremely interesting and I learned so much’. Delegates were also treated to a fantastic performance of Mulberry School’s award winning play, ‘The Unravelling’ and to some highly engaging and thought provoking performances from spoken words artists; Holly McNish, Kat Francois, Joelle Taylor and Natalie Fiawoo. Attendees of the conference also got to choose two workshops to participate in throughout the day including ‘Lessons for my daughter’, which explored the complex and dynamic relationships between mothers and daughters. Another workshop, ‘Better Together: women of all ages learning together’ was delivered in partnership with Magic Me, a company that runs arts projects that bring together people of different generations, whom Mulberry have worked with many times. All in all, it was a very inspiring day which truly reflected the spirit of the WOW four day festival in supporting the empowerment of women from all areas of life into realising their potential, after all, we are the future! By Tasnin, Year 10 student, Mulberry School for Girls. 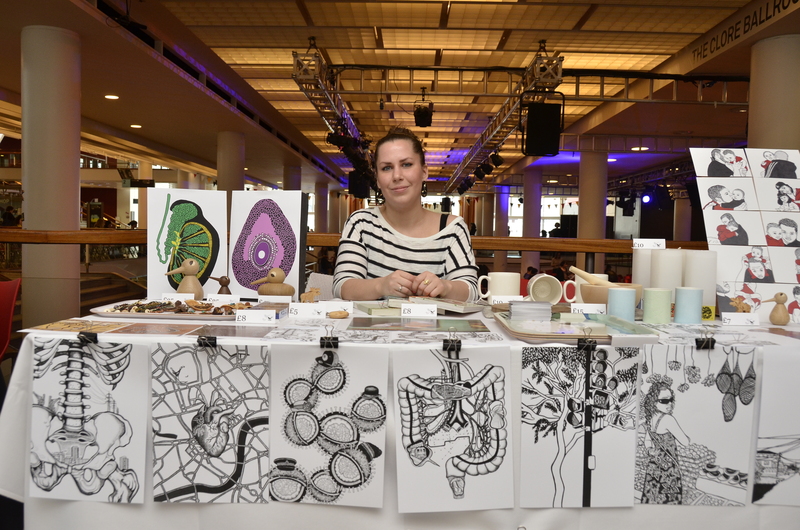 Yesterday we met London based illustrator Myrto Williams. 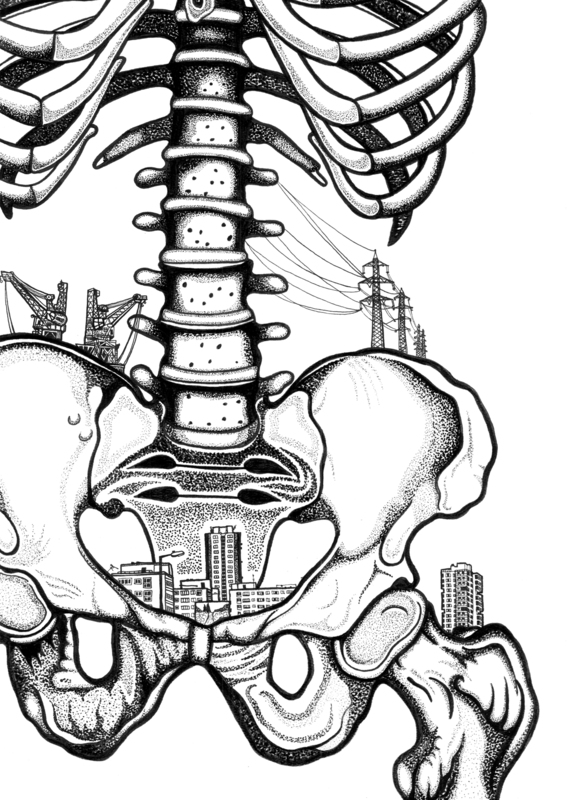 Myrto has been selling prints of her drawings and illustrations inspired by her birth place London, and the human anatomy. The WOW Market ends today, don’t miss out on visiting Myrto and the other traders. Click here to listen to our interview with Myrto. 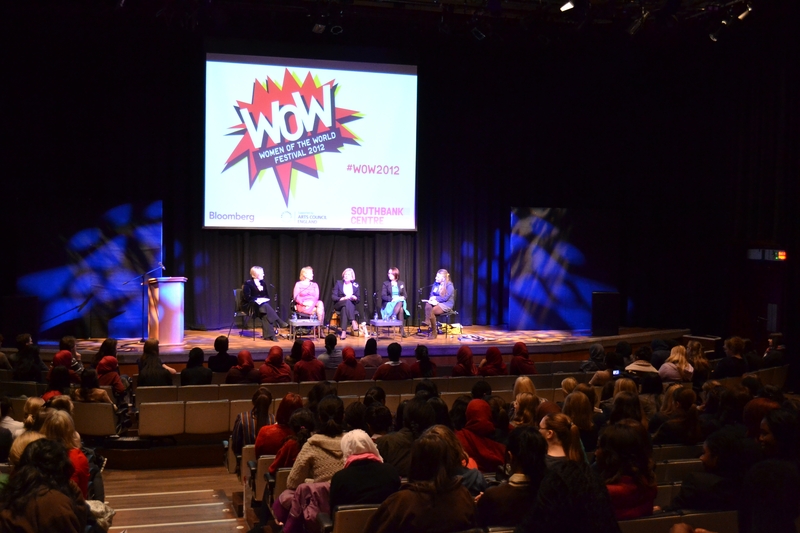 The WOW Festival started off with a BANG on the 8th March, having its biggest Speed Mentoring session ever and as marking it as its 101st anniversary it ought to. The busy hysteria of the Speed Mentoring programme began with a speech from Cherie Blair, a successful International Lawyer and the wife of Tony Blair. Cherie Blair’s speech was about how the perspective of women in the workforce have changed from when she began pursuing her passion for Law in the 1960s-70s. It was amazing to hear her talk about her struggles, how she faced adversity and the short warming story of how she met her husband. For Cherie, their was a scarce number of women to be inspired by, especially in a profession like Law. She spoke about how her daughter has followed in her footsteps to study Law and how there is a lot more women now, that she can look upon as inspiration. It really showed, for me, how far women have come, in their on-going quest for equality among the men, globally. Her speech really helped me to reflect about women on a global scale as she went on to speak about her organisation, which is a mentoring scheme helping women internationally, in developing areas, to thrive in their passions and advising them not to settle for anything less than what they are capable of. As Cherie went on with her speech about these women and these under developed countries, these women face the same struggles as females such as myself, living in a thriving country compared to these developing countries. However they seem to be progressing onwards towards success despite their disadvantages, so as women living in UK, have we become complacent with our adversities and obstacles blocking our success? Different women, different answers, there are many brave women fighting for our equality amongst the men and proving themselves to be as good, if not better in whatever is their passion. Unfortunately, there are women who become easily defeated by their obstacles, however with the powerful message behind WOW Festival the battle for gender equality will hopefully come to fruition. It’s just not a festival unless you go home with a cool t-shirt, right? We are the WOWsers, a group of young women from local schools and colleges. 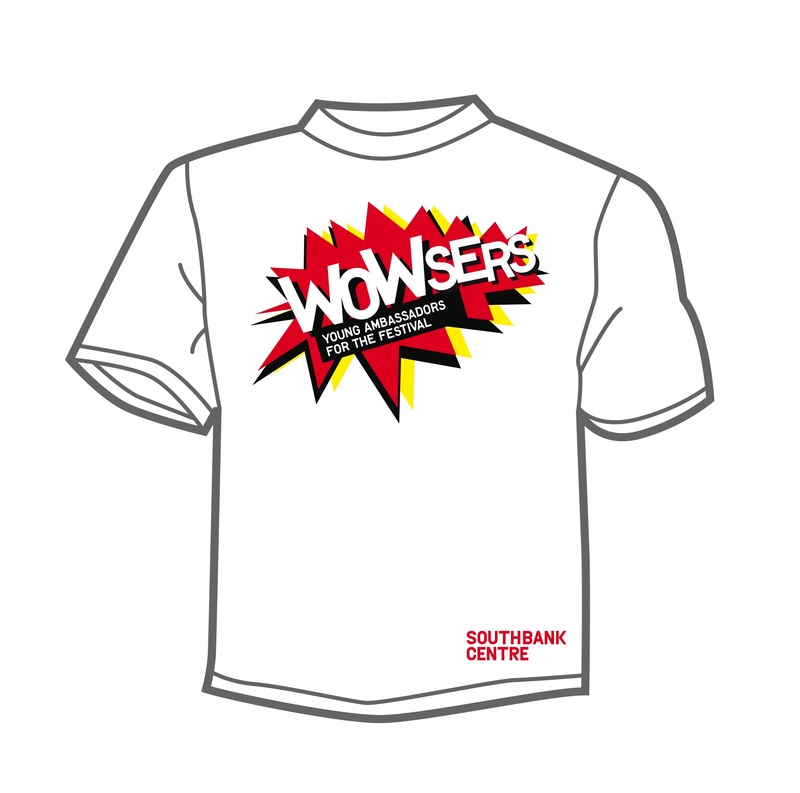 We have been invited by Southbank Centre be a part of WOW 2012. We have a wide range of interests including sociology, drama, fashion, photography and music and oer the next few days we will be involved in the events and the running of the festival. Using pictures, video, writing and photography, we’ll be blogging and tweeting about our experiences for you all to see.